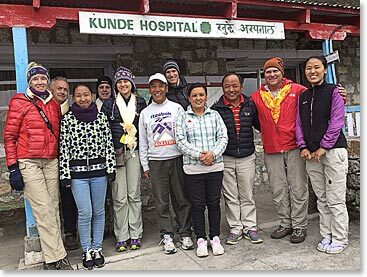 After our moving and uplifting experience with friends at the Khunde Monastery we walked the short distance to the Khunde Hospital to visit with Dr. Kami Temba Sherpa, chief physician at the hospital. 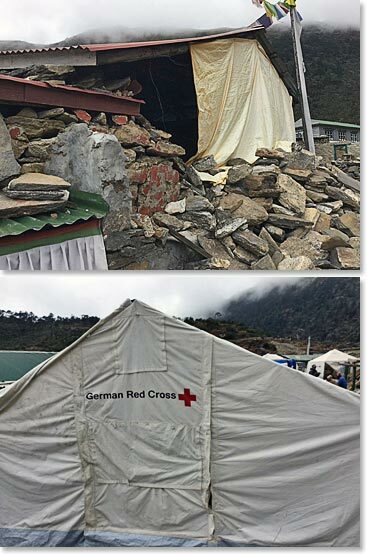 Next year will be the 50th anniversary of the Khunde Hospital. 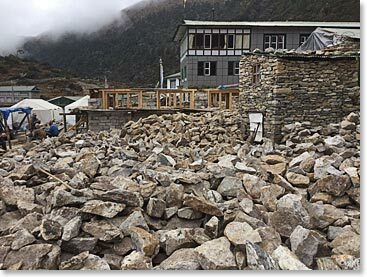 It opened in 1966, with funding by Hillary's Himalayan Trust. Early in its years of operation Khunde Hospital was a special project of Hillary's good friend Zeke O'Connor from Canada. For many years the hospital was served by volunteer doctors from New Zealand, Canada and elsewhere. Kami Temba worked as a physician’s assistant many of those years and after he received his MD he took over as chief physician. 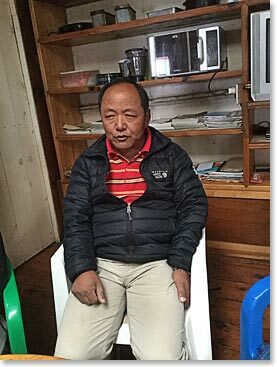 It is always enlightening to hear this humble man describe the medical services this facility provides to the Sherpas as well as transient Nepalese workers who live and work in these high remote valleys. We were lucky to see Dr. Kami. Next week he will be off to Toronto to be with Zeke O'Connor and to speak at the annual Sir Edmund Hillary Foundation Dinner. After we left Dr. Kami we walked through the streets of Khunde and we saw that there is still much work to be done here before all residents can have their homes back to what they were before the earthquake. Much to be thankful for, but much work remains. 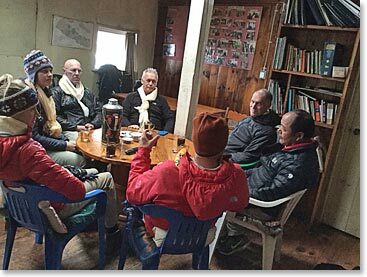 An enjoyable and inspiring day in Khunde. 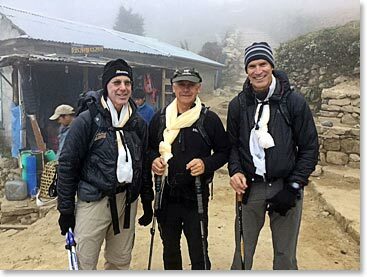 The Three Amigos are ready to head home to Panorama Lodge in Namche Bazaar.